After a day of outdoor sports, be it boarding, biking or bouldering, efforts are often rewarded with a beer from one of the 700-plus craft breweries across Canada, 200 of which are in Ontario (with a further 100 currently under construction). Whatever your pint preferences, chances are you won’t be far from a producer with a brew to suit you. Buy yourself a growler (a refillable glass jug) from your nearest brewery, a mainstay in any Canadian household, and top up at any other brewery of your choice. Fresh craft beer with minimal packaging — that’s an indulgence you can feel good about. Canada’s world-renowned snow scene is far from a surprise for Aussies visiting the Great White North, but it’s accessibility for city dwellers might be. Yes, a memorable day on the slopes doesn’t necessarily mean you have to stay in a resort town. Take Vancouver for instance, which is less than a two-hour drive to North America’s top ski resort, Whistler Blackcomb. Or for something even closer, try Cypress, Grouse or Seymour mountains. 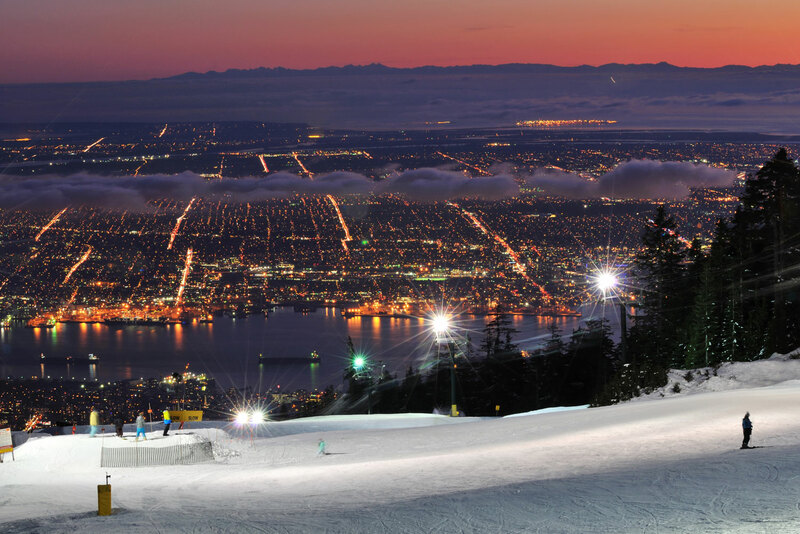 During winter, once the clock hits 5pm, many Vancouverites drive half an hour to any of these nearby mountains for cheap (under $50) nighttime skiing or snowboarding, with runs open until 10pm during the season. While the idea of drinking murky clam broth sounds about as appetizing as bear spray to the face; it’s a key ingredient in Canada’s beloved Caesar cocktail. Mixed with vodka, hot sauce, Worcestershire sauce and tomato juice, it’s usually served with a celery stalk in a celery-salt rimmed glass. In fact, since Caesars are about as Canadian as the maple leaf, you can pick up bottles of the readymade concoction sans alcohol (known as Clamato juice), from any supermarket. It’s also what most bartenders use. But like Vegemite, which is met with similar scepticism from foreigners, it’s a hearty taste sensation that grows on you and will cure any hangover. Some say Vancouver is as close as you can get to Asia outside of Asia, which can only mean great things for the local food scene. Thanks to a vibrant Asian population and supreme Canadian seafood, VanCity is home to an enduring boom in impressive Japanese restaurants. Be it sushi, ramen or sashimi, there are now well over 600 Japanese outlets operating in Metro Vancouver, making up roughly 10 per cent of the city’s culinary offerings. 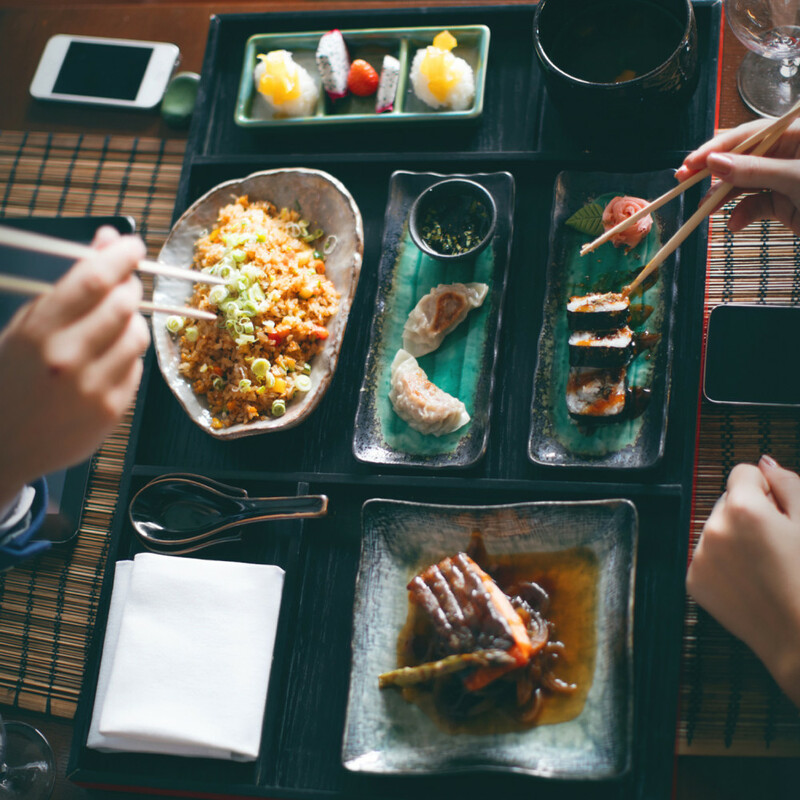 But it’s not just the quantity of these restaurants that impresses travellers; it’s also the quality of the food they serve, with some of the finest examples of Japanese fare at both the authentic and creative ends of the sushi spectrum. In fact, some argue that the beloved ‘California roll’ actually originated in Vancouver in 1971, created by a Japanese expat. The funny thing about stereotypes is that they’re often wildly inaccurate; such is the case with the myth that all Canadians live in igloos. Quite contrary, it is not perpetually winter in Canada’s southern provinces, but (usually) gloriously sunny and warm from May to September. With the sunshine comes a whole suite of summertime activities from canoeing and camping to underrated festivals. But of all the water sports to try, group river tubing (also known as floating) is the ultimate. Bring snacks and supplies on your inflated tube, tie your vessel to that of your friends and/or family (never go alone), and float down one of Canada’s many winding rivers under a blazing hot sun. It’s a great way to see some less explored forests, so be mindful of not leaving any rubbish. British Columbia has a plethora of tube-able rivers, including Shuswap River, Okanagan River Channel, Cowichan River and Kettle River. BC [aka Best Cannabis] has a reputation for a reason — it’s here, it’s regulated but it’s surprisingly accessible and acceptable. While licensed marijuana dispensaries can be found across Canada, Vancouver really is the home of BC bud, and whether you smoke it not, you’ll soon know the smell. 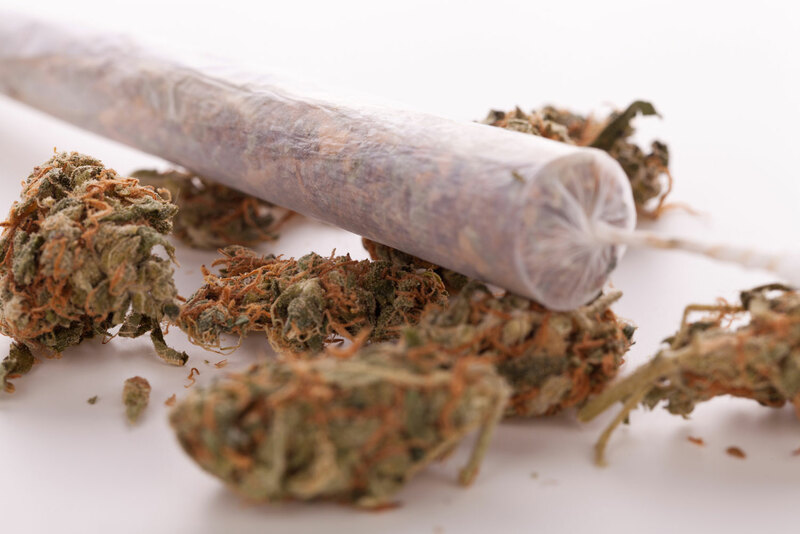 With dispensaries about as common as Starbucks, most people have an understanding of the differences between local strains, and the many forms they take from pre-rolled joints to medicinal oils and lollypops. Depending on where you stand on the green gamut, this could be either a welcome surprise, or, well, not. We’ve all seen atleast one photo of Canada’s innumerable hiking trails, which no doubt brought your newsfeed scrolling to a halt with some vivid landscape shot, layered with soaring fir trees, gigantic mountains and azure, milky lakes. But you needn’t trek into the deep depths of the Yukon to see these breathtaking sights. 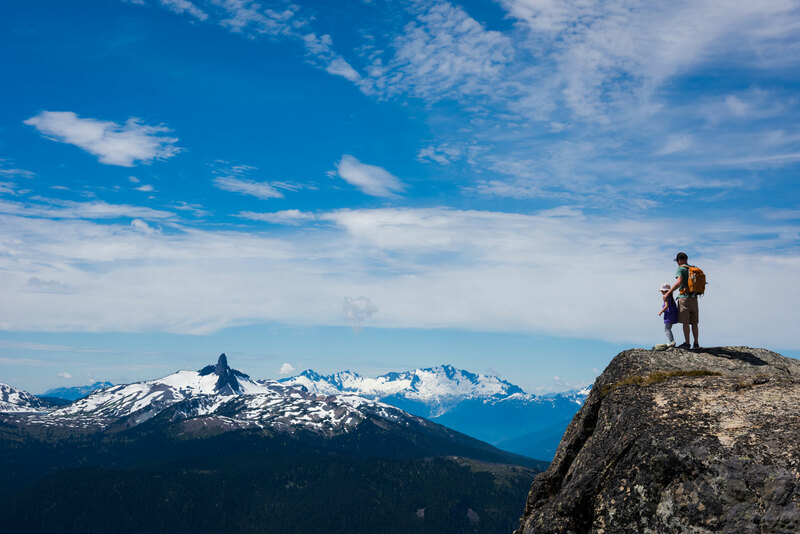 With something like 30 per cent of Canada's total landmass occupied by forest (compared to 16 per cent of Australia), you barely need to leave city limits to be treated to stunning hikes, especially in British Columbia. Drive as little as 30 minutes and there’s often a great wealth of walking options on the doorstep, suited to varying capabilities. On the subject of capability, hiking isn’t just a popular pastime largely reserved for the greying demographic, as it tends to be in Aus.’. In Canada everyone from all ages and fitness levels gets involved, regularly exploring the great outdoors on foot and camping. Beyond the world-class ski slopes and abundance of wildlife, we explore Canada’s lesser-known delights. We all know Canada is home to some of the world’s steepest ski slopes, fiercest grizzly bears, and smoothest maple syrup, but what are the highlights that Australian travellers don’t expect before they arrive? Given the rising numbers of Aussies flying across the Pacific every year — some 352,000 of us visited in 2016, equating to a near 15 per cent increase within just 12 months according to Statistics Canada — there’s got to be more to Canada than what’s in the brochure. From culinary creations to social mores, here are Canada’s most pleasant surprises. We’ve all seen atleast one photo of Canada’s innumerable hiking trails. We’ve all seen at least one photo of Canada’s innumerable hiking trails, which no doubt brought your newsfeed scrolling to a halt with some vivid landscape shot, layered with soaring fir trees, gigantic mountains and azure, milky lakes. But you needn’t trek into the deep depths of the Yukon to see these breathtaking sights. With something like 30 per cent of Canada’s total landmass occupied by forest (compared to 16 per cent of Australia’s), you barely need to leave city limits to be treated to stunning hikes, especially in British Columbia. Drive as little as 30 minutes and there’s often a great wealth of walking options to choose from, suited to varying capabilities. On the subject of capability, hiking isn’t just a popular pastime largely reserved for the greying demographic, as it tends to be in Oz. In Canada, everyone from all ages and fitness levels gets involved, regularly exploring the great outdoors on foot. While the idea of drinking murky clam broth sounds about as appetizing as bear spray to the face; it’s a key ingredient in Canada’s beloved Caesar cocktail. While the idea of drinking murky clam broth sounds about as appetising as bear spray to the face; it’s a key ingredient in Canada’s beloved Caesar cocktail. 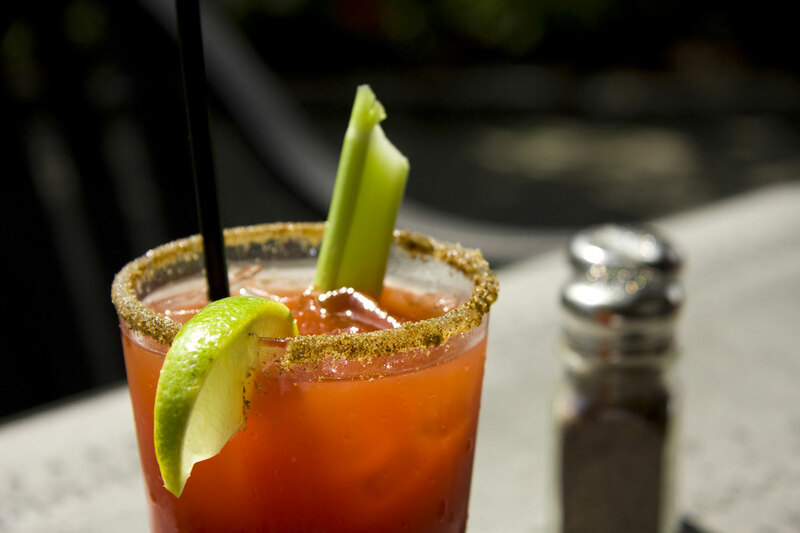 Mixed with vodka, hot sauce, Worcestershire sauce and tomato juice, it’s usually served with a celery stalk in a celery-salt rimmed glass. Since Caesars are about as Canadian as the maple leaf, you can pick up bottles of the readymade concoction sans alcohol (known as Clamato juice), from any supermarket. It’s also what most bartenders use. But like Vegemite, which is met with similar skepticism from foreigners, it’s a hearty taste sensation that grows on you and will cure a beastly hangover. After a day of outdoor sports, be it boarding, biking or bouldering, efforts are often rewarded with a beer from one of the 700-plus craft breweries across Canada, 200 of which are in Ontario (with a further 100 currently under construction). 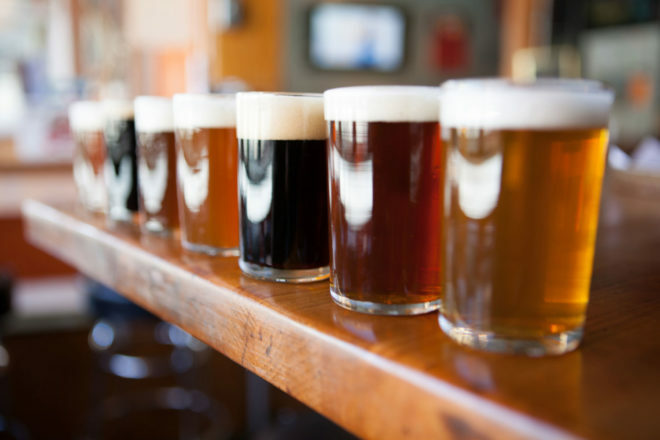 Whatever your pint preferences, chances are you won’t be far from a producer with a brew to suit you. Buy yourself a growler (a refillable glass jug) from your nearest brewery, a mainstay in any Canadian household, and top up at any other brewery of your choice. Fresh craft beer with minimal packaging — that’s an indulgence you can feel good about. Better still, it’s exceptionally cost effective! Canada’s world-renowned snow scene is far from a surprise for Aussies visiting the Great White North, but it’s accessibility for city dwellers might be. Canada’s world-renowned snow scene is far from a surprise for Aussies visiting the Great White North, but its accessibility for city dwellers might be. Yes, a memorable day on the slopes doesn’t necessarily mean you have to stay in a resort town. Take Vancouver for instance, which is less than a two-hour drive to North America’s top ski resort, Whistler Blackcomb. Or for something even closer, try Cypress, Grouse or Seymour mountains. In winter, once the clock hits 4pm, many Vancouverites drive half an hour to any of these nearby mountains for cheap (under $50) nighttime skiing or snowboarding, with runs open until 10pm throughout the season. Though much of Australia’s mainstream media would have us think that beauty equates to bronzed skin, skeleton waistlines and thigh gaps, Canada is much more realistic about what a healthy body entails. Rather than focusing on visual physicality, Canadians tend to place more value on strength and fitness, which as we know, comes in many shapes and sizes. This more relaxed approach to beauty standards also extends to Canadians’ sense of fashion, which refreshingly, is decidedly more casual and practical compared to say, inner-city Sydney. So on any night out you expect more Gor-Tex jackets and Birkenstocks than sky-high heels — no complaints here! Some say Vancouver is as close as you can get to Asia within the Western world, which can only mean great things for the local food scene. Thanks to a vibrant Asian population and sublime Canadian seafood, VanCity is home to an enduring boom in Japanese restaurants. Be it sushi, ramen or sashimi, there are now well over 600 Japanese outlets operating in Metro Vancouver, making up roughly 10 per cent of the city’s culinary offerings. Some say Vancouver is as close as you can get to Asia outside of Asia, which can only mean great things for the local food scene. But it’s not just the quantity of these restaurants that impresses travellers; it’s also the quality of the food they serve, with some of the finest examples of Japanese fare at both the authentic and creative ends of the sushi spectrum. In fact, some argue that the beloved ‘California roll’ actually originated in Vancouver in 1971, created by a Japanese expat. The funny thing about stereotypes is that they’re often wildly inaccurate; such is the case with the myth that all Canadians live in igloos. Quite contrary, it’s not perpetually winter in Canada’s southern provinces, but (usually) gloriously sunny from May to September. The funny thing about stereotypes is that they’re often wildly inaccurate; such is the case with the myth that all Canadians live in igloos. Quite contrary, it is not perpetually winter in Canada’s southern provinces, but (usually) gloriously sunny and warm from May to September. With the sunshine comes a whole suite of summertime activities from canoeing and camping to underrated festivals. But of all the water sports to try, group river tubing (also known as floating) is the ultimate. 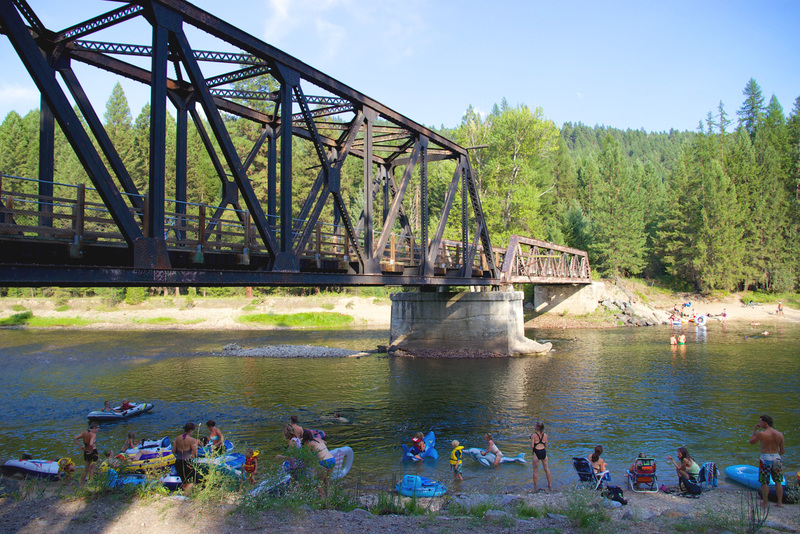 Bring snacks and supplies on your inflated tube, tie your vessel to that of your friends and/or family (never go alone), and float down one of Canada’s many winding rivers under a blazing hot sun. It’s a great way to see some less explored forests, so be mindful of not leaving any rubbish. British Columbia has a plethora of tube-able rivers, including Shuswap River, Okanagan River Channel, Cowichan River and Kettle River. BC [aka Best Cannabis] has a reputation for a reason — it’s here, it’s regulated but it’s surprisingly accessible and acceptable. While licensed marijuana dispensaries can be found across Canada, Vancouver really is the home of BC bud, and whether you smoke it or not, you’ll soon know the smell. With dispensaries almost as common as Starbucks, most people have an understanding of the differences between local strains, and the many forms they take from pre-rolled joints to medicinal oils and lollypops. Depending on where you stand on the green gamut, this could be either a welcome surprise, or, well, not.